Sholly Fisch is a writer that regularly produces exceptional work at DC Comics, but it has always been in the form of back-up stories, one-shots, and digital-first series, rather than a proper run on an ongoing New 52 title. 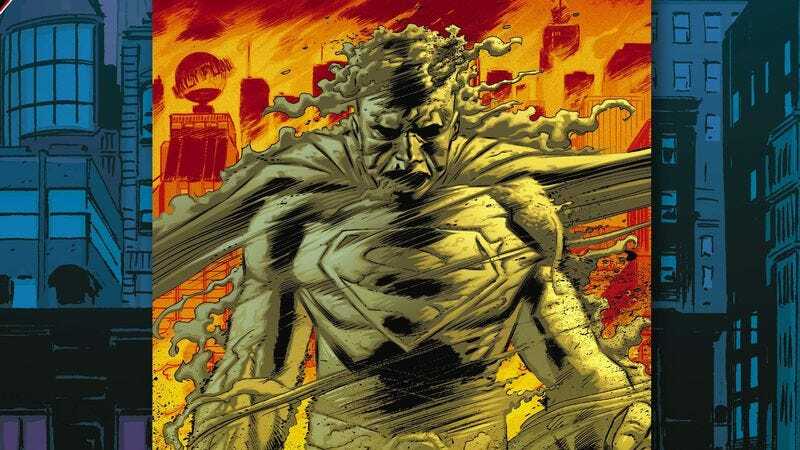 Fisch showed an acute understanding of Superman’s character in his back-ups (and Annual issue) during Grant Morrison’s Action Comics run, and now he returns to the hero for Action Comics: Futures End #1, the first Superman-centric title of DC’s Futures End month. The identity of the masked Superman was exposed in last week’s Futures End #17, but the fate of Clark Kent is still a mystery. This week’s preview of Action Comics: Futures End #1 reveals that he’s still helping others, except now he’s using the skills he learned as a human farmer’s son, rather than the abilities he inherited from his alien heritage. Meanwhile, residents of Metropolis are discovering their own mysterious superpowers, and Fisch calls back to one of Superman’s most inspiring moments when he introduces a suicidal young girl who soars after jumping off a skyscraper. That scene is drawn with an appropriately melancholy atmosphere by artist Pascal Alixe, another underutilized talent in DC’s arsenal who has a slick, detailed style that balances textured realism with superhero dynamism. He’s teamed with co-artist Vicente Cifuentes and colorist Pete Pantazis for this issue, and these preview pages prove that the visuals are up the high standards of Fisch’s writing.